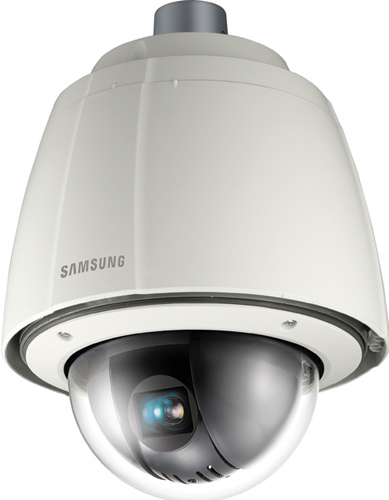 The Samsung SNP-6200H is a PTZ dome camera which provides 20x images in Full HD resolution. This ONVIF compliant camera features multiple displaying resolution from CIF (320 x 240) through to 16:9 format 1080p Full High Definition and provide the ability to be transmitted simultaneously. Users can monitor a scene far away from the camera in more detail, at higher quality of image. The SNP-6200H is incorporating housing PTZ dome camera and can to withstand extreme environment. The Samsung SNP-6200H has many exciting features for users of all types. The Samsung SNP-6200H is sold as a Brand New Unopened Item.